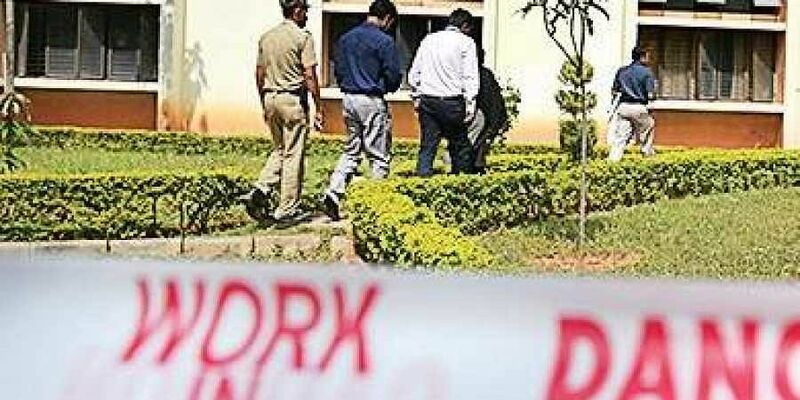 BENGALURU: A day after the blast at the Indian Institute of Science (IISc) claimed the life of one engineer and severely injured three others,the campus seems to have clamped down on the flow of information to everyone, including the police. The premier institute, which on Wednesday chose not to share any information about the Laboratory of Hyersonic and Shock Wave Research, the site of the incident, did not release any more information on the nature of the lab or work being carried out there, when the accident occurred. According to police probing the matter, they are being given the cold shoulder as well.Preliminary investigation showed that it could either be due to a gas leak or a fluctuation in pressure. The city police, who are investigating the blast in a lab at the Indian Institute of Science here, are looking into whether there were any lapses on the part of the institute.“The scientists do not seem to realise the value of a life lost. All our efforts at gathering information are being met with redirects, where department officials say they are unaware of the work going on at the laboratory and ask us to speak to others,” a senior officer said on condition of anonymity. The family of Manoj Kumar, the engineer who died in the accident, had on Wednesday alleged that there were lapses in safety measures in place at the lab. “During our initial inquiry, we found that professors from the aerospace engineering department were unable to tell us what was happening at the laboratory. Administration officials also keep repeating that the incident is accidental and that complicated experiments are being conducted here since 40 years,” the police officer said. Meanwhile, officials from the Fire and Emergency Services visited the campus on Thursday to submit a preliminary report regarding the cause of the blast. The officials who visited the spot found that the cylinders used for the experiment were not stored by IISc in their laboratories but instead bought by the start-up company Super-Wave Technology Pvt Ltd (SWTPL) during the experiment and then returned to the supplier after the experiment. “Our preliminary investigations showed that the cylinders which were said to be the cause for the blast were not stored at the laboratory but instead were bought from a supplier,” Sunil Agarwal, ADG Fire and Emergency Services. Fire officials who visited the spot today said the SWTPL researchers normally used one cylinder each of nitrogen, oxygen, hydrogen and helium. According to few research scholars at the institute, they informed the fire officials that none of these cylinders were stored at the laboratory and hence the question of licensing for storage was not valid. Police have asked SWTPL directors KPJ Reddy and Prof G Jagadeesh to provide them the number of supplier of cylinders. Fire officials will reportedly check if the supplier had the license to supply such cylinders for experimentation. “It was also known that there is a possibility that the mixing of gases was done in one cylinder by the supplier himself and this possibility of shockwave transfer could have led to the blast. We are still enquiring,” said Sunil Agarwal. Police are waiting for reports from the Forensic Science Laboratory to know the cause of the explosion. Preliminary investigation showed that it could either be due to a gas leak or a fluctuation in pressure.